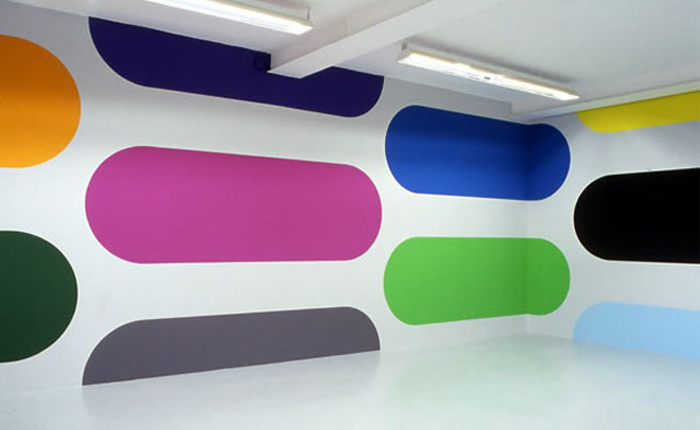 Dutch artist Jan van der Ploeg has been painting walls and large panels for a couple of decades. His colorful and precise geometric designs are mostly simple forms sometimes in black and white, other times in bright contrasting colors, but always producing a dramatic effect, in my opinion. Painted in multiple layers of acrylic to create a smooth, untextured finish, reinforces the notion that the color has been reduced to a mere surface. 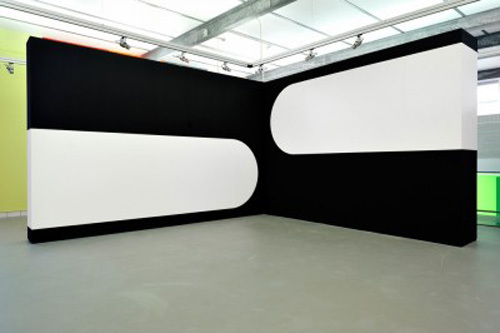 Jan van der Ploeg is also a co-founder of PS Projects, an artist-run exhibition space in Amsterdam. Photos courtesy of the artist, CCNOA, West and Minus Space.